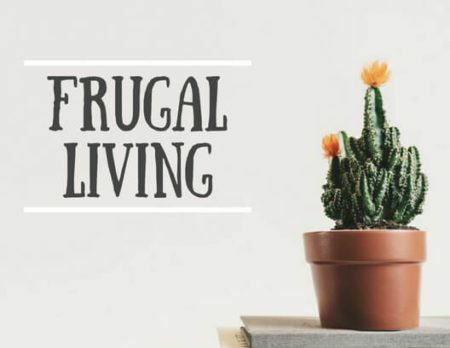 NEWBIE: How to Live Frugally? The year 2019, is a year of Financial Abundance. My goal is to put my finances in place and automatic. I want this year to clear all my financial debts, build emergency funds , and add to my investments such as stocks portfolio and mutual funds for education of my kids. There is always another side of the coin, which is living and sacrificing the luxuries and leisure. Living frugally is living within your means. This also means that you meet your necessary needs first, then if there is an extra money left after the investments then you splurge yourself on the luxury things. First, Budget. We did not learn how to do budgeting even in our schools, it was not taught and you are lucky if you took any Accounting and Finance subjects on this topic. Let's have a simple budget. List down all your Income such as Monthly Salary, Sideline Commissions, and Passive Income from Investments such as Dividends from stocks etc. then next list down all the expenses such as food, rent, transportation, etc. Apply the formula Income - Expenses = Excess (Negative or Positive) , if there will be a positive excess then start saving it for building emergency funds and then to your investments. Stick to it every month. Second, Monitor the expenses. For year 2019, I keep all the invoices and record it on my Notebook app on android to keep myself reminded of all our expenses on a monthly basis, in this way you will be able to identify the necessary expenses only. Third, Buy on Bulk or Sale. You can buy in bulk for items that are not expiring below 6 months duration. As a parent we keep watch on Diapers, Lotion, Shampoo, Toothpaste, etc.. these are necessary expected expenses for daily living. It will not hurt you to look on SALE items. Small amount of discounts added for whole year might surprise you. Looking forward to your Financial Abundance. If you have any other frugal tips, please comment it below.